Now this is an impressive Fit Bottomed client list: Kim Kardashian Jennifer Lopez, Angelina Jolie and Sofia Vergara. 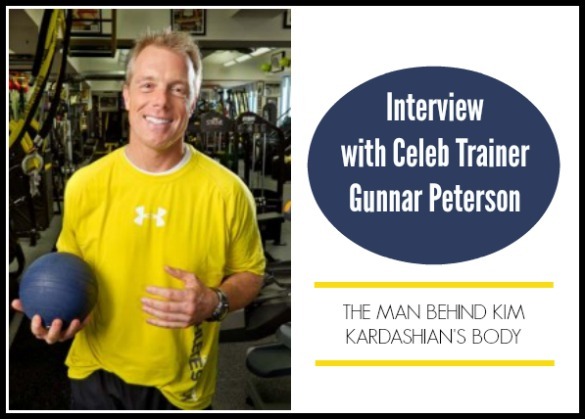 So it’s no doubt that celeb trainer Gunnar Peterson knows what’s up when it comes to getting results in the gym. Turns out, he’s also a bit of a clean freak. Well, at least in the sense of knowing how to get clean and fresh super quickly between workout sessions (which, ahem, all the FBGs could use…). So, for his recent partnership with Cottonelle, we got to ask him a few questions about his “Two Rep Fresh,” along with his take on the biggest myth we women get roped into believing—and, of course, how Kim Kardashian gets that strong booty of hers. Preach it, Gunnar! FBG: Talk to us about “Two Rep Fresh.” How did this come about and what is it? FBG: We’re all about the fit booty. Tell us: what’s your No. 1 exercise for getting a toned tush? GP: It has to be the squat! The National Strength and Conditioning Association calls it the “king of all exercises,” and I’m not about to disagree! FBG: You train Kim Kardashian. What are your workouts like with her? GP: Same as the kind of movies I like: fast-paced and action-packed! We never stop moving and the effort is 110 percent! FBG: If someone’s fitness routine is getting stale, how would you suggest they spice things up? GP: Buy a new pair of shoes! Ha! Take a new class, try getting an extra hour of sleep a few days in a row. Change your workout time. FBG: What’s the biggest myth women believe about getting fit? GP: That lifting weights will make them big. Relax, it takes WAAAY more than that. How much “size” have the guys you know who lift put on? I rest my case. FBG: Say you have 10 minutes to workout. What do you do to make the most of the time? FBG: Food and fitness go hand in hand. What do you recommend your clients eat to make the most of their workouts? GP: If you need more inspiration this month, go to the Cottonelle Facebook page for fitness tips and share your name the Cottonelle Care Routine for a chance to win a year-supply of product—pack your gym bag and let the workouts begin!